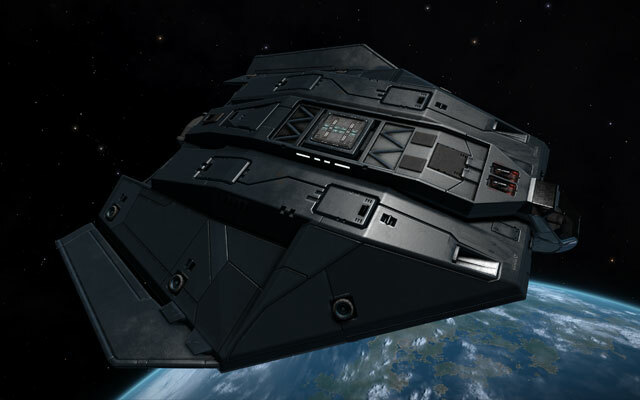 The Imperial Cutter fulfils a similar role as the corvette for the Imperial Navy. The design philosophy reflects Imperial sensibilities as it is faster and more elegant than the corvette, but doesn't quite match it in firepower. As with other Imperial warships the cutter is also used for projecting soft power, via diplomatic missions and support for friendly powers. It is possible, although rare, for a well connected client or patron to own one of these ships. Like the corvette it can deploy two small fighter class ships. The Imperial Cutter is manufactured by Gutamaya, and is the Imperial Navy's counterpart to the Federal Corvette. It is currently the largest player-piloted ship available. 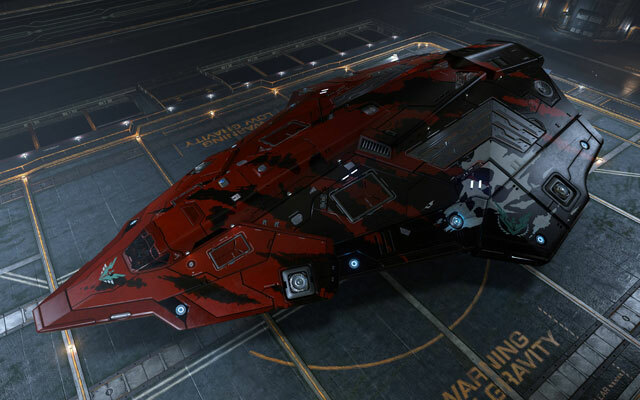 With its 792T cargo capacity it has the largest cargo bay a playable ship can have, topping the Type-9 with 260T more cargo space, over 48% more space, while having significantly better shields and speed than the Type-9. This will make it the most logical choice for traders. Unlike the Type-9, it is extremely well-shielded, very fast (though not maneuverable) for its size, and reasonably well-armed, giving it far greater survivability and allowing some limited use of it as a combat ship, especially in the piracy role. In addition, with plenty of internals available to mount mining accessories while still leaving the largest open for cargo holds, excellent speed for moving from asteroid to asteroid, and a sufficiency of class 2 weapon mounts, the Cutter is unquestionably the best mining ship yet.